I recently returned from “Bugshot,” a week-long macro photography workshop in Belize (stayed at Caves Branch Lodge http://www.cavesbranch.com/ — highly recommended). This was one of my favorite creatures from the trip. I spotted it on the forest floor in some rotting wood. 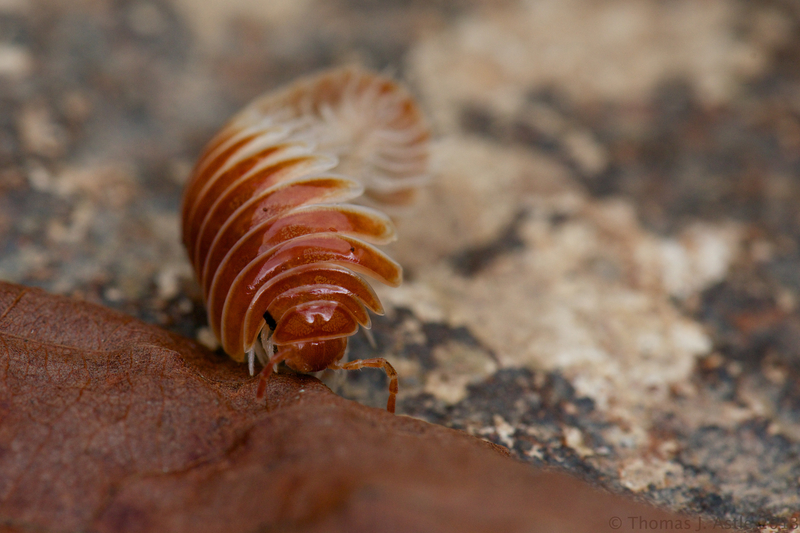 It looks like a big, pink-orange pill bug (or roly-poly, to most kids), but it’s not related to pill bugs — it’s a (very short) millipede. 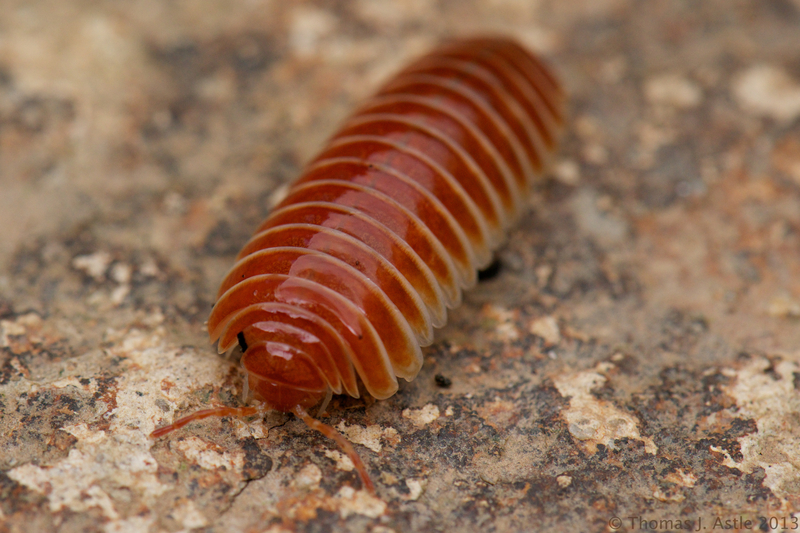 Pill bugs are actually crustaceans (like crabs and lobsters), whereas this critter is in the group with millipedes and centipedes. 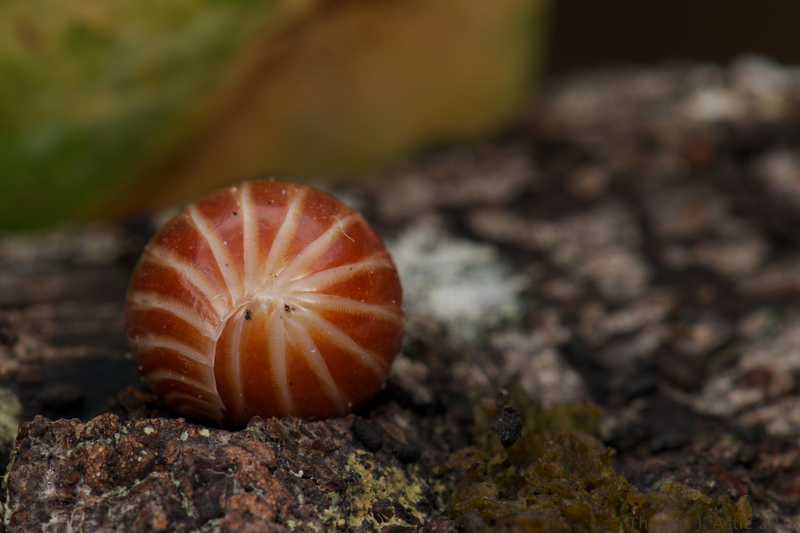 According to information from an earlier workshop in the same place in Belize, it’s a Sphaeriodesmid millipede, a type of “pill millipede.” This one was not quite as big as a marble, but much larger than a pillbug. 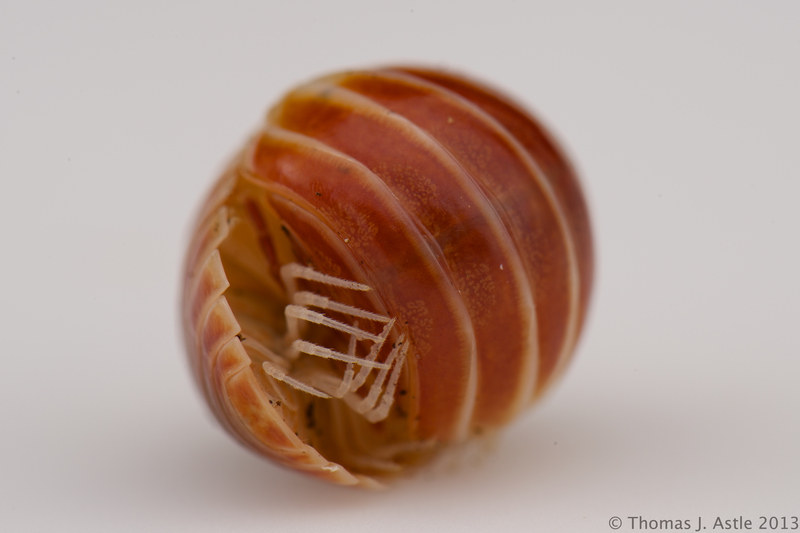 The fact that it can roll into a ball like a pill bug is just evolution arriving at a similar game-plan in two independent lineages.